After completing the remaining work on the Williams Whirlwind recently and the owner taking it home, it was time to move onto the next machine for repair & service. 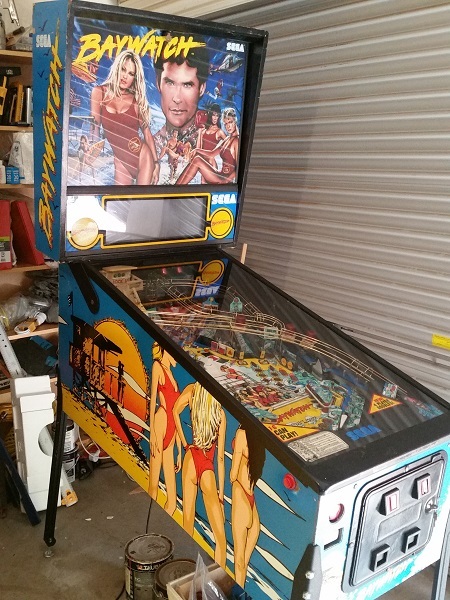 This time I’m looking at a Baywatch machine. 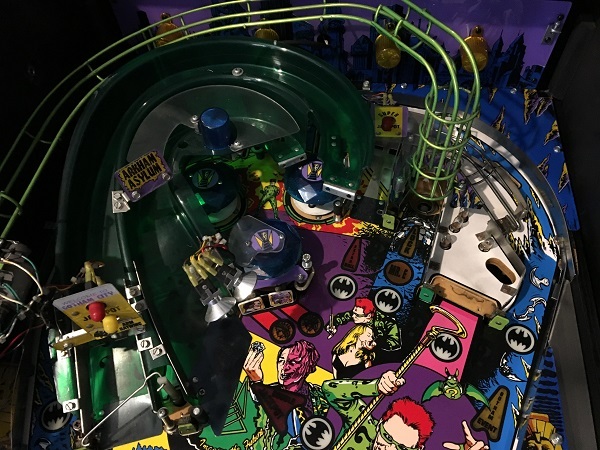 Released by SEGA in early 1995 and able to be played by 6 players, it’s got a fairly decent playfield layout and is a lot of fun to play. The game play caught me by surprise as I’m not a huge fan of the theme (I’m sure my teenage self would have been..), but I find myself saying ‘just one more go’ when playing it. That’s a good sign for any game. The machine has been in the owners collection for awhile, crying out for a full service. As you’ve seen in my other threads, I get in and rebuild everything. It’s not a restoration, nor is it just a quick wipe down and fresh rubbers. Each assembly will be stripped, cleaned and worn parts replaced. 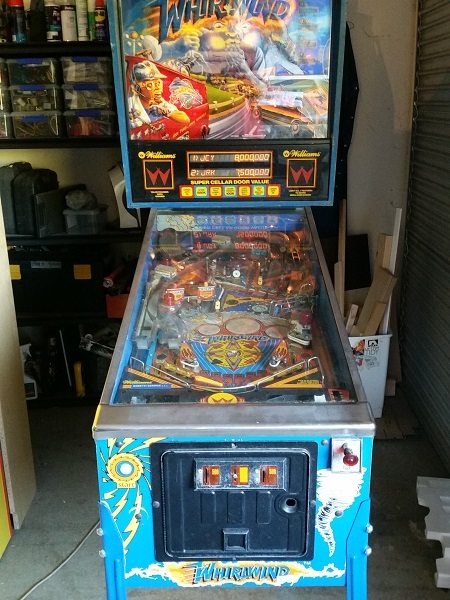 The playfield will be stripped and everything properly cleaned too. Any game play issues will be sorted out and I’ll also spend some time doing presentation improvements (mostly things the owner has pointed out he wants addressed). Anyway, time to get started. 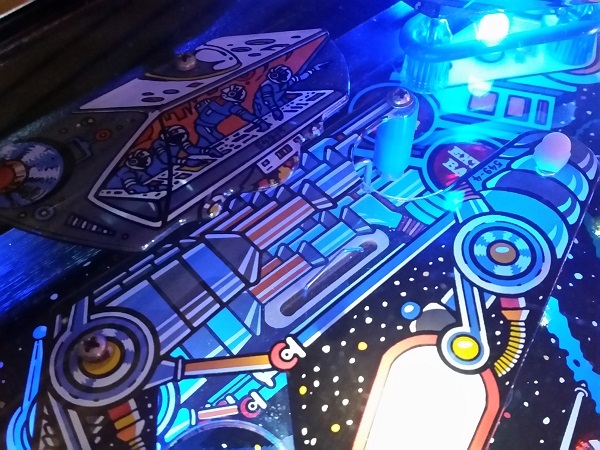 A good way to continue working on pinball machines (without going broke buying them), is to work on other peoples machines and bestow to them the same love I give mine (the machines that is, not the owners..). 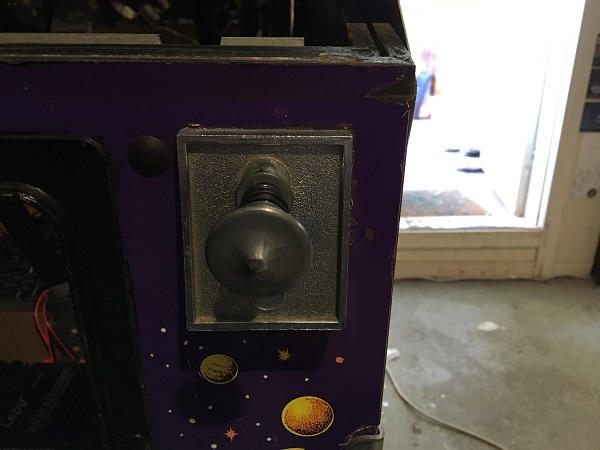 I’m always on the look out for a new Pinball project to work on as I love giving them a new lease on life, but pickings have been slim lately. The universe has other ideas though and through a chance message, I was asked if I could work on some machines that needed a bit of TLC, with Whirlwind being first on the list. How could I refuse? 🙂 This isn’t a restore but also not a simple service either. I’ll be doing my usual rebuilding and cleaning of all assemblies, along with fixing any game play issues and giving the machine a bit of a face lift along the way. I don’t have plans to do any board work and the owner has a few requests on specific things he wants addressed, which i’ll be following. Whirlwind is a great game and I’m very excited to be working on it. Once complete, it’s going to be hard to let the owner take it home.